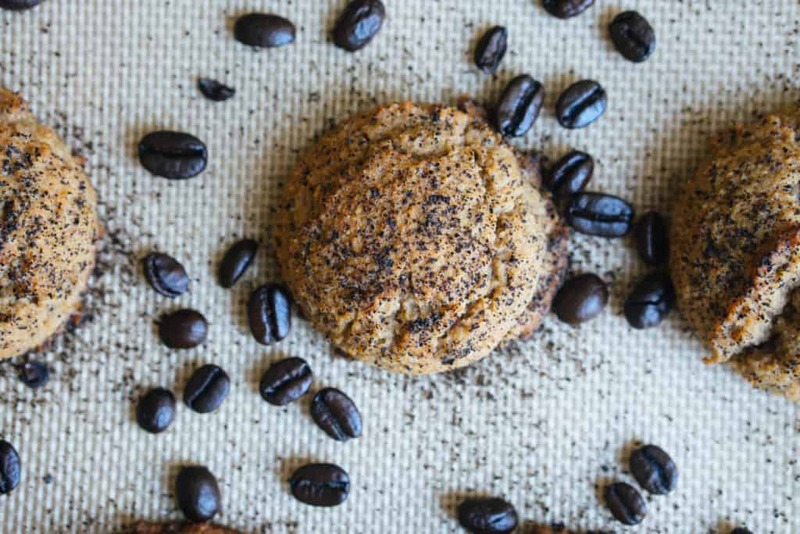 Matt's favorite dessert in low carb form is back in the menu with these Low Carb Espresso Cookies! He says it resembles tiramisu to a tee without all the work. Now, doesn't that sound like a dream come true? We've even created the perfect dip to pair so you can serve this at parties and impress all your friends and family! Do I Need To Use Espresso Grounds? Short answer: No, you don't need to use them. Answer that I prefer to give: It makes all the difference if you do so we highly recommend it! And, the darker the roast the more intense the flavor of the cookie. If you're worried about caffeine content you shouldn't because it will be very minimal - similar to the amount you may find in chocolate. However, if you just don't have espresso at home, coffee will work for this recipe. If you use coffee, let us know how it turns out! Keto Tiramisu Is Now Possible! This may not be your traditional tiramisu replacement and you may even shutter at the fact that we are saying cookies can replace your favorite dessert. But, all the flavors are there. Simply dip the cookies in the espresso dip, close your eyes and indulge. We know a good remake when we see one and if you've made any of our other low carb replacements you can attest to that! We have low carb butter chicken, chewy chocolate chip cookies and keto bread. Espresso Cookies With Espresso Dip! If you've been craving something sweet or just love a coffee dessert - my personal favorite dessert growing up was coffee ice cream - you should absolutely make these cookies. Your kids will love them, your co-workers will be impressed and your spouse will forever be in debt to you. 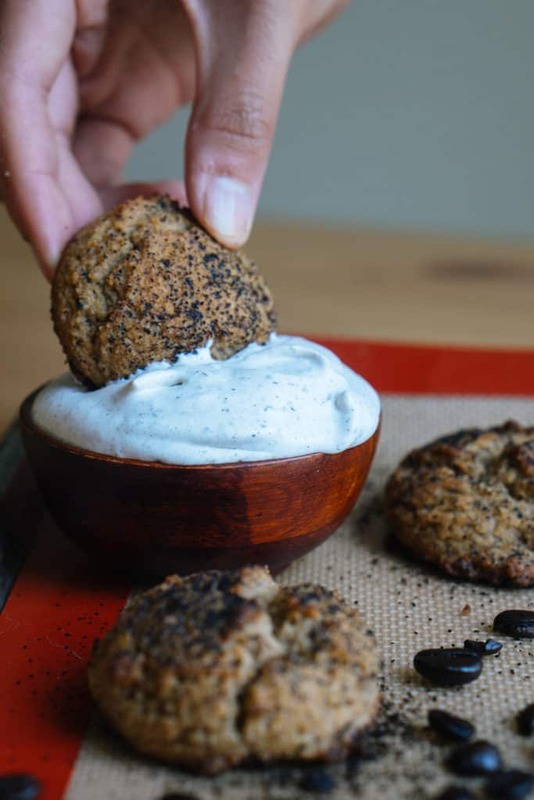 These low carb espresso cookies with espresso dip are designed to satisfy your tiramisu cravings, but keep you on track! 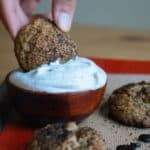 Recipe can be quickly added to MyFitnessPal - Search "KetoConnect - Espresso Cookies"
Preheat your oven to 350 degrees and line 1 or 2 baking sheets with parchment paper. In a large mixing bowl, melt the butter and add in the espresso, almond flour, coconut flour, erythritol, cinnamon, espresso grounds, baking powder and stevia. Combine using a hand mixer. Add in the eggs and combine once more until uniform in consistency. Using a cookie sccoper, scoop out some mixture (slightly overflowing) and place on the baking sheet. We made 14 cookies. Optionally, lightly dust each cookie with some espresso ground prior to baking. Bake for 12-15 minutes. Allow to cool for 15 minutes prior to handling. Note: if you want more thin crispy cookies, spread the dough out using your palm or a fork. If you want thick and soft (as shown in video) leave in cookie scoop form. Whip the cream until you achieve stiff peaks using a hand mixer. Add in the stevia and espresso grounds and combine. Serve with cooled cookies and enjoy!